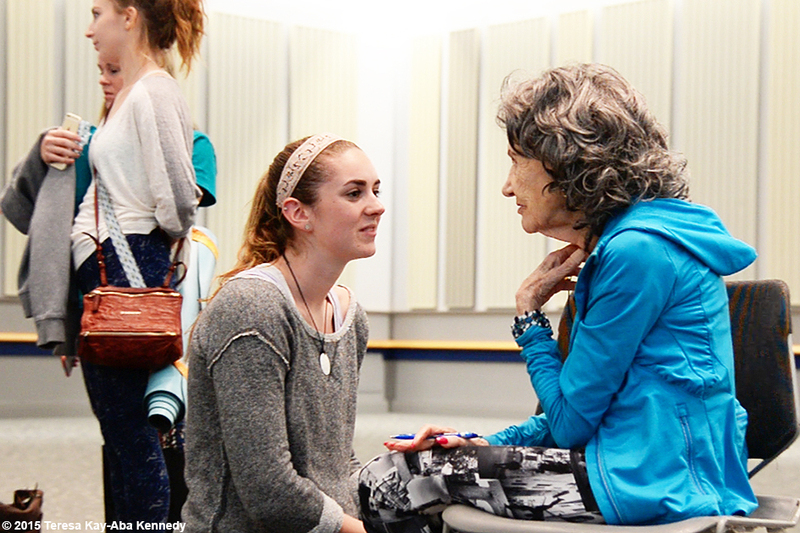 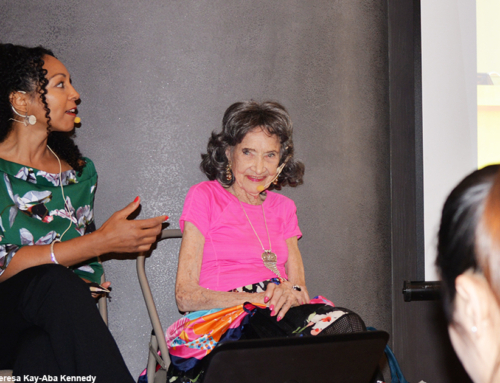 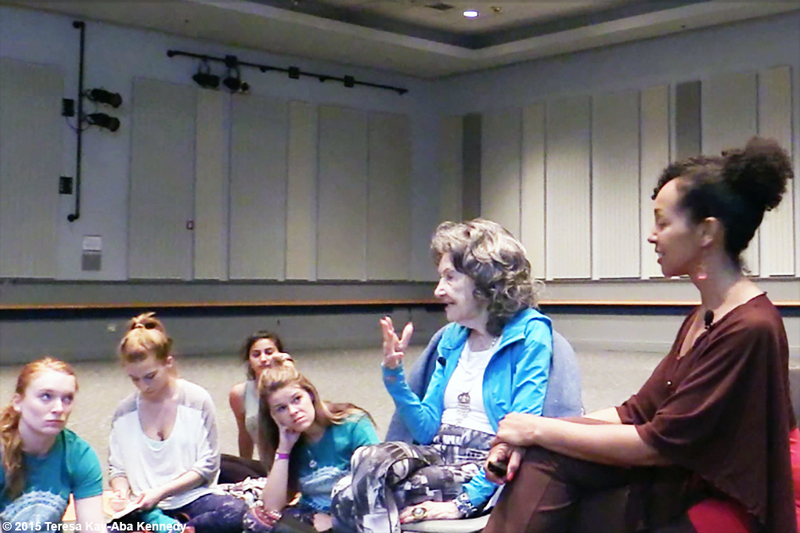 May 3, 2015 – I was delighted to accompany 96-year-old yoga master Tao Porchon-Lynch to the University of Delaware and moderate a conversation on her life, as well as assist in the yoga workshop. 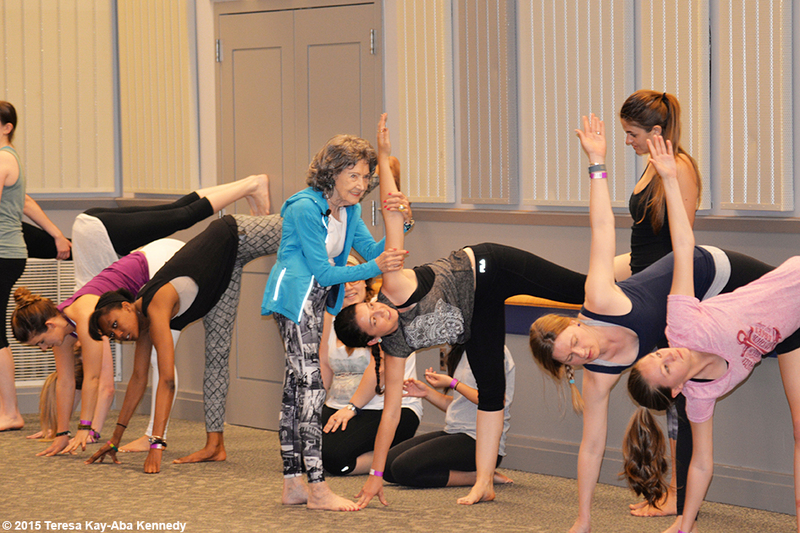 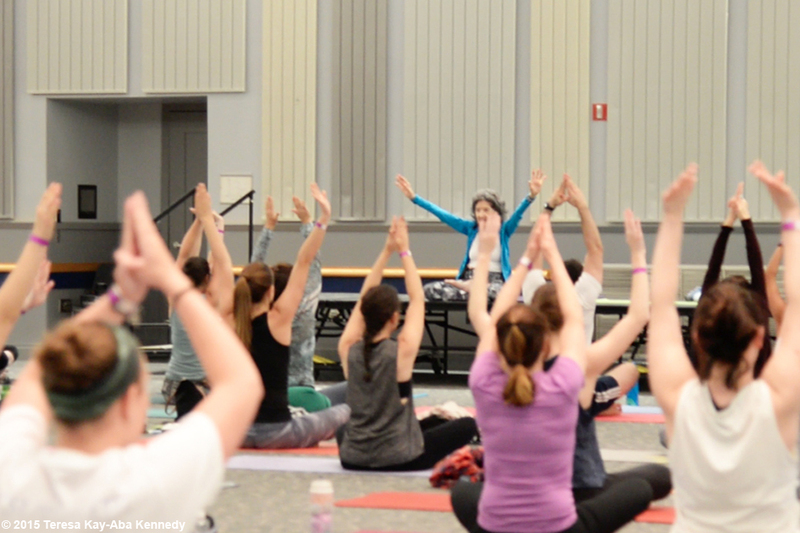 It was a packed house of students who were treated to hands-on instruction from the oldest active yoga master in the world. 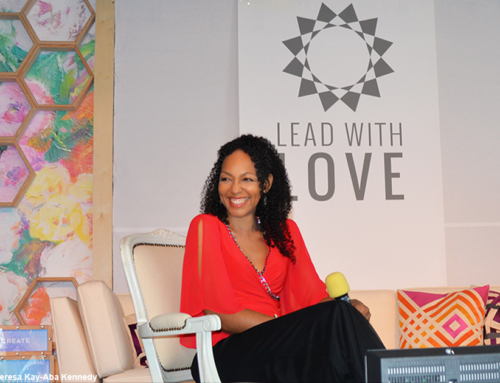 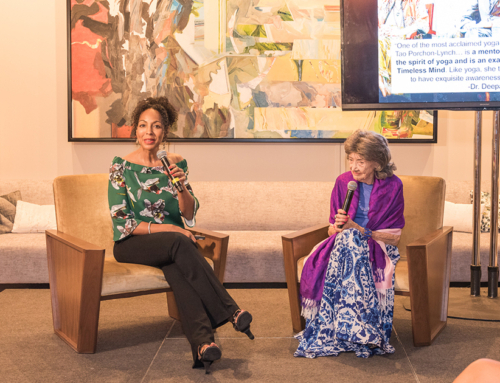 In our discussion after the workshop, Tao shared personal stories such as joining Mahatma Gandhi on the 1930 Salt March and her friendships with icons such as Marlene Dietrich and Noël Coward. 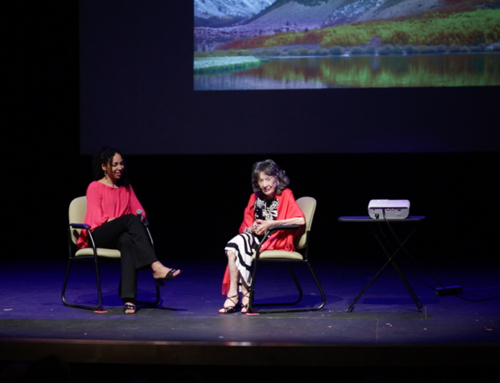 The audience was enthralled by Tao’s presence as well as the slideshow of images that accompanied the talk. 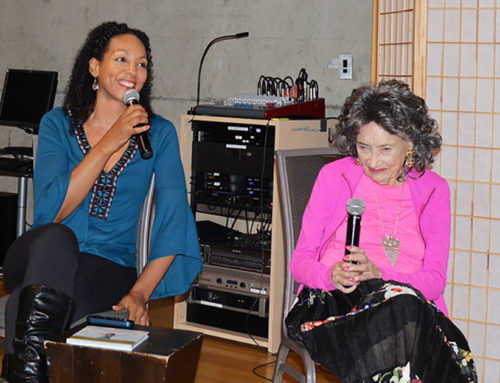 They received a preview of her new autobiography, Dancing Light: The Spiritual Side of Being Through the Eyes of a Modern Yoga Master. 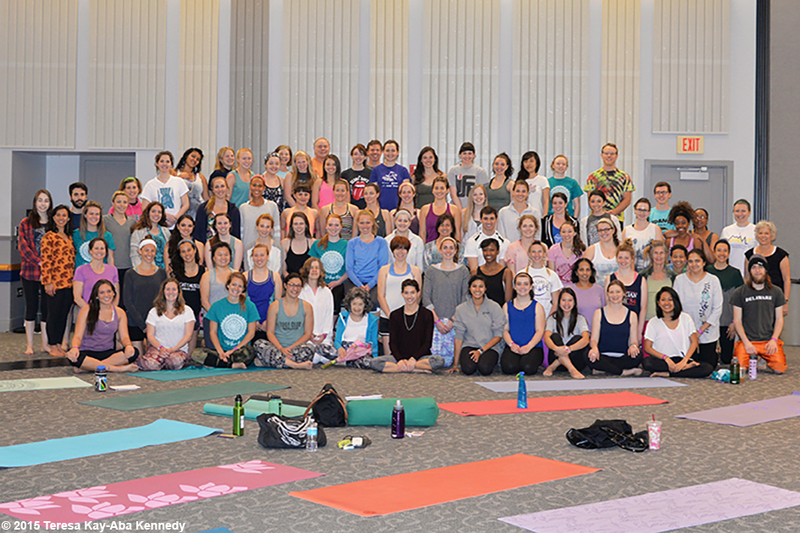 Many thanks to Khushbu Modi and the members of the Delaware University Yoga Club for organizing the event.